These Voltage Sensitive Switches (VSS) automatically sense connected battery bank voltages and provide optimal, efficient charging of the second bank. The VSS allows for independent battery banks to be combined or isolated based on the presence of a charging source (such as an engine alternator or battery charger), while also offering remotely activated, high current, emergency parallel connection. Designed and constructed for longevity in the marine environment with tinned copper conductors, stainless steel nuts, and high temperature, fibre reinforced plastics. 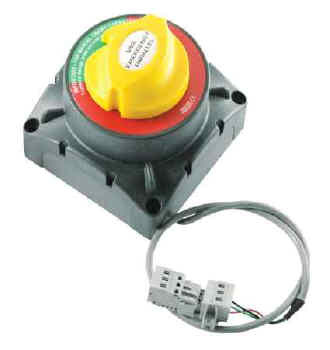 The units are ignition protected, provide On/Off switching operation, and may be recessed or surface mounted. The remote emergency parallel function can be operated through a momentary button on the dash which will parallel the batteries for 10 minutes. Once this 10 minutes has passed, if the voltage is high enough, the voltage sensitive switch will stay engaged. If not, it will disengage.